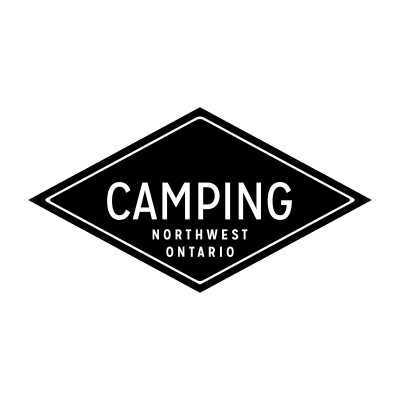 With its wide variety of parks and campgrounds offering full service campsites and RV sites, there is always somewhere new to explore in Northwest Ontario and along the world famous Lake Superior Circle Tour. 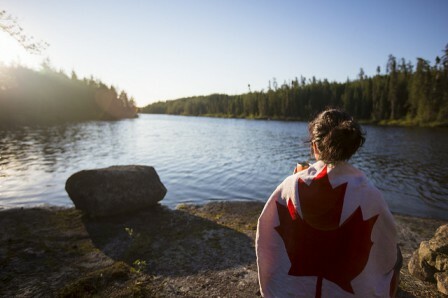 The region is home to a wealth of beautiful Provincial parks as well as Municipal and private sites, offering sand beaches and beautiful scenery, with opportunities for outdoor games, hikes, barbecues and campfire cookouts. Some of our private campsite operators even have heated swimming pools, on site services and cozy cabins. The freedom to pick up and go as you please is yours, allowing you to decide how long to stay and how much of our wonderful region to explore. You’ll be lulled to sleep every night by the sounds of nature. 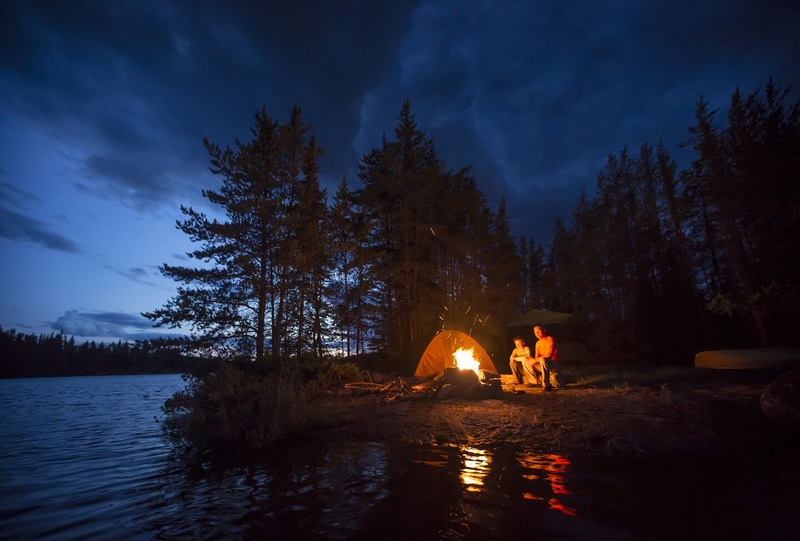 The finest accommodations and world class Walleye, Northern Pike, Lake Trout and Smallmouth Bass fishing plus fantastic bear and moose hunts is yours for the taking at Camp Quetico. American Plan and Housekeeping packages available. We welcome you to come and enjoy peaceful relaxing vacations with beautiful sunsets, excellent fishing, bountiful wildlife, bird watching, and incredible photo opportunities. With us you’re not just a number, you are a name. Marr’s Perch Lake Lodge is a drive to resort, and located 15 miles west of a small town of Atikokan, on Hwy 11, in North western Ontario. 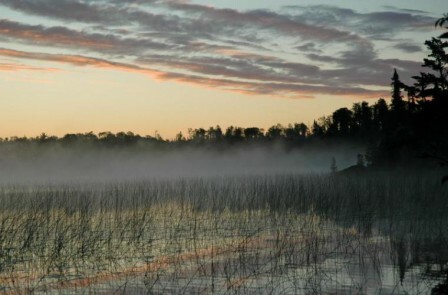 We are situated on five acres of deeded land on a scenic point on the southwest side of Perch Lake, which is one of five lakes comprising the famous Seine River System. 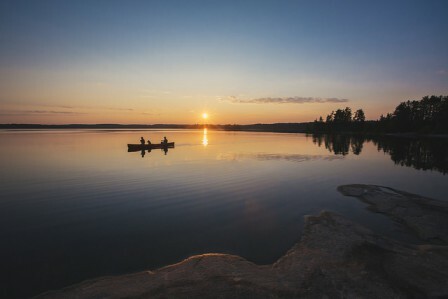 Quetico offers both the convenience of campgrounds and the challenge of the backcountry. 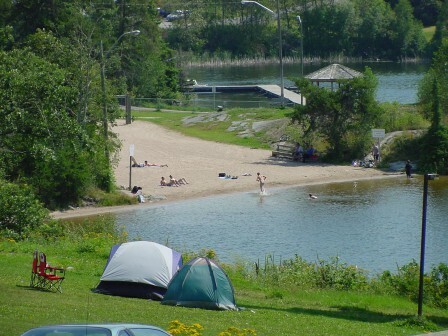 Dawson Trail Campground, located 40 km east of the town of Atikokan on Highway 11, provides camping opportunities with services and facilities, sites for all types of recreational equipment and rustic rental cabins. Browns’ remains the ‘One & Only’ Lodge located on Clearwater West/White Otter Lakes. We offer a variety of Full & Partial Packages for all your Travel Plans – any & every Season! 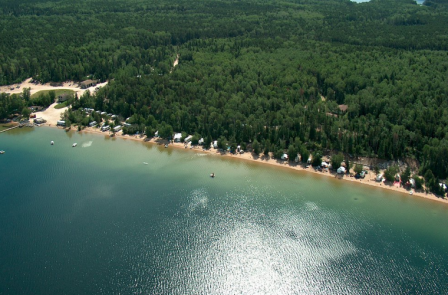 Clean, comfortable camping accommodations include Superior Studios, Deluxe Cottages & Modern Mobile Homes, secluded Boat-To Chalets, several Portage-To & Fly-To Outposts, along with a “1 of a Kind” private, family Campground. 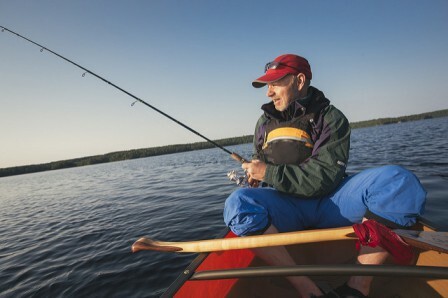 Fishing, Boating, Canoeing, Eco-Touring, Ice Fishing, Snowmobiling or simply, “Chilling”, may be included in your itinerary. 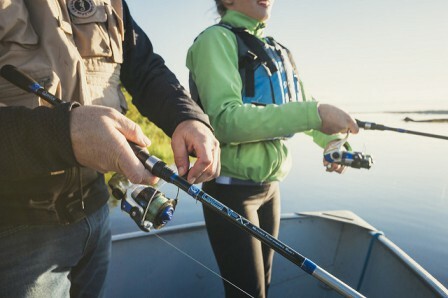 Located on a peninsula on the rugged shores of Banning Lake, we’re in the center of the Seine Chain of Lakes – one of Northwestern Ontario’s premier fishing systems. The Seine Chain offers over 5 lakes spanning 30 miles of terrific arctic watershed fishing opportunities. Diverse waters provide excellent fishing – smaller and larger lakes, “river” channels with currents, numerous weedy bays, reefs and islands – and depths ranging from shallow to over 200 feet! All navigable from our docks without getting out of your boat! 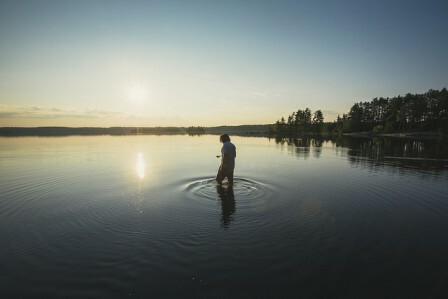 Crystal Lake is one of the best fishing lakes in the Atikokan area. We have Lake Trout, Northern Pike Smallmouth Bass and Walleye fishing. 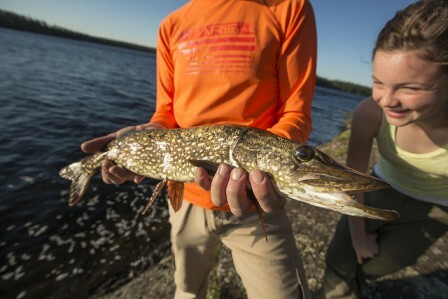 Our long growing season allows our Northern Pike to grow big with 20-plus pounders being caught and released. 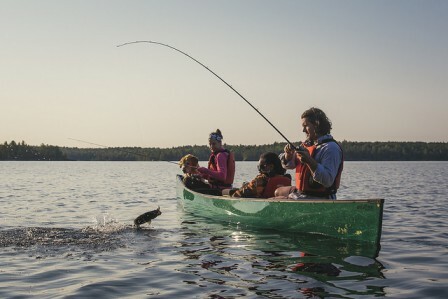 Crystal Lake, being a deep lake, is stuffed with Lake Trout of all sizes. 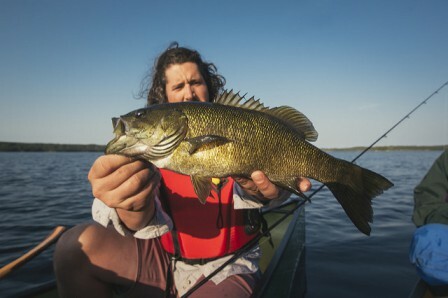 Our lake could also be called the hottest Smallmouth Bass lake in Ontario. Looking for wilderness on the soft side? Imagine yourself relaxing in a cabin on a pristine lake in the White Otter Wilderness. These cabins provide privacy, comfort, incredible fishing and breathtaking landscapes. It’s about quality time with your family and friends in the true natural settings of life. 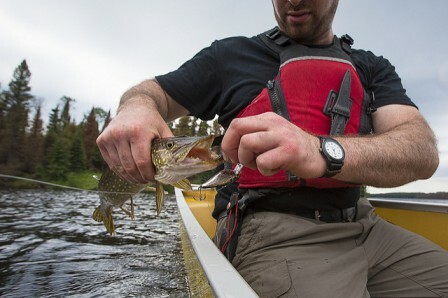 We will do my best to provide you a truly memorable and enlightening Canadian Wilderness experience. Many of our exclusive lakes can only be accessed by float planes, and this is where our services can help you. Your Ontario fly in fishing trip starts with an unmatched view of the rugged, lush terrain from above and then we’ll drop you off at your planned outpost destination. 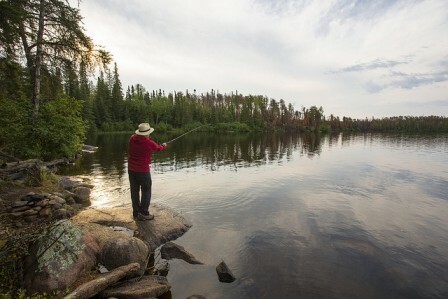 As mentioned before, our Ontario fly in fishing outposts are located on some of the most private and serene lakes in the country. 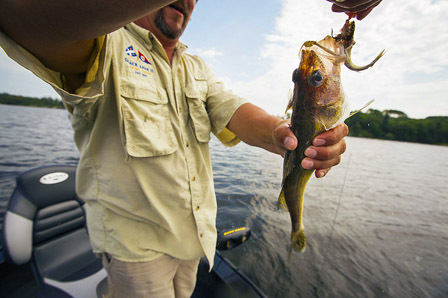 We can help you choose the right location based on the type of Ontario fishing you want to do. 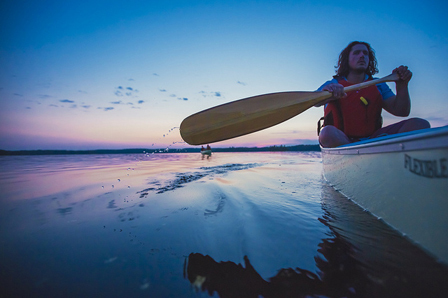 Welcome to Tip Top Wilderness Lodge on Sanford Lake – truly one of the most beautiful lakes in all of Ontario. 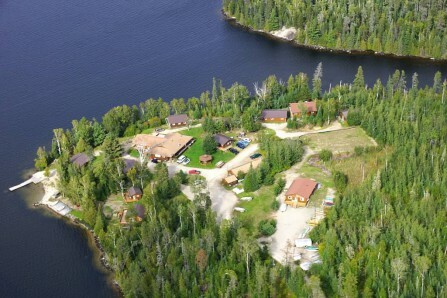 Our Fly-In access lodge is located 40 air miles north of our base in Atikokan Ontario, Canada. We are the only fishing resort within 1,000 square miles with the nearest road more than 30 miles away. 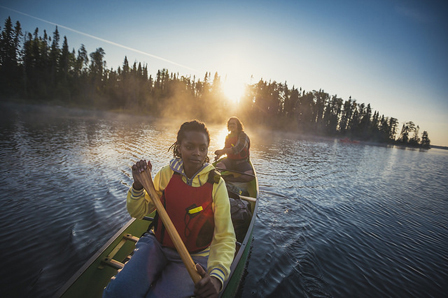 Situated in the heart of Quetico Country, Niobe Lake Lodge is a small, drive-to resort designed to cater to your individual needs. We offer both Housekeeping and American Plan packages. Our dining room is renowned for its specialty menu. This is Quetico’s premier eco-adventure Outfitter since 1960. We are located on Voyageur Island, Quetico Park Boundary, Ontario, Canada. VWP is the perfect stepping stone into the wilderness. Anicinabe, loosely translated in Ojibway means the “the People”, therefore Anicinabe Park is the People’s Park. This park has always been a gathering place beginning with the aboriginal peoples and continuing on today with many people from our local residents to tourists from all over the world using the park, beach and campground. Found at the junction of Brightsand & Wabakimi Wilderness Parks, sixty miles west of Amrstrong by rail. 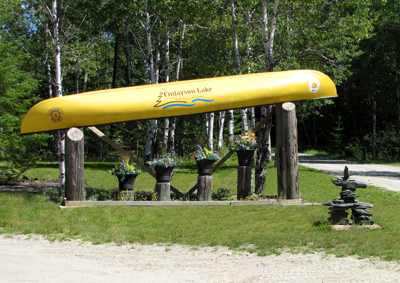 Located in the historic ‘ghost town’ of Allanwater Bridge and former Hudson Bay Company trading post. Come to explore the vast chain of remote lakes and rivers with excellent fishing, or stay to swim & relax in this deluxe new outpost. 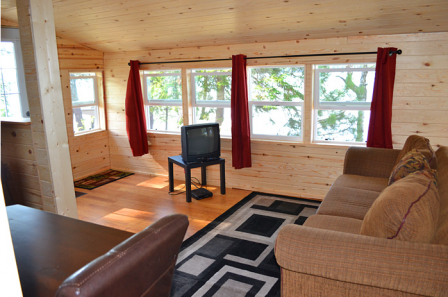 The cabin has four large bedrooms and will easily sleep up to 20 people. A perfect location for a family reunion or corporate retreat. 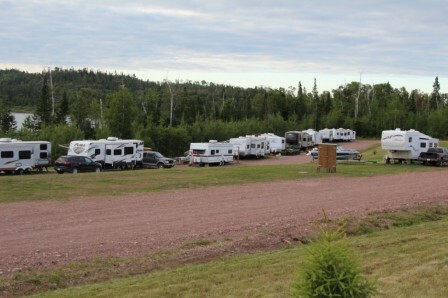 We recently opened an unique three tiered designed RV Park that offers all campers a view of Lake Superior on Black Bay near Ouimet Canyon. This gated community is only 45 minutes from Thunder Bay. 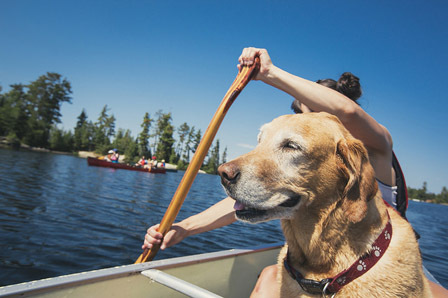 Providing opportunities for outdoor adventure, including hiking, swimming, ATV use, water sports, great fishing, bird watching.